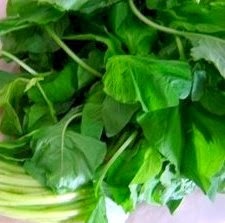 One very ordinary leafy vegetable accommodated its own place in the King's palate, cooking differences in recipe from greeny soup to spicy green makes this recipe as a leafy vegetable items to the table of the riches. Boil the leaves and keep aside. Heat the ghee in a pan, add the minced ginger fry a little, add boiled vegetables, after a few minutes add coriander and pepper paste fry another minute or two. Put off the fire and add powdered garam masala, put a lid to the pan. Family- Amaranthaceae : Owing to its blood-red flowers, ancient medical practitioners used the herb to impede bleeding. In addition, researches have established that amaranth also functions as an astringent and has been used over the centuries to heal diarrhea, excessive menstrual flow and also mouth ulcers. cools our body especially the people going for night shift work. It keeps their body cool, when their body gets heated due to keeping awake straining their eyes, by preventing various types of eye problems. Amaranth species are cultivated and consumed as a leaf vegetable in many parts of the world. There are four types of Amaranthus cultivated in Asia. Koch Bihar, a district of West Bengal (India). The major ethnic communities of the district are Kheria, Rajbanshi, Rabha and Santhal. Among the ethnic communities, the treatment of different ailments is done primarily by traditional practitioners. Traditional practitioners (Baidyas) and aged women of the villages having knowledge of plants used for the treatment of gynecological problems. Vernacular name : Kantanote - Bengali (Amaranthus spinosus Linn. ), Kantavuria, Khuria-Kanta – Rajbanshi which are used as pills prepared with about 100 gm of plant mixed with roots (25 gm) of 'Lau' (Lagenaria siceraria), 25 gm of 'Kalojira' (Nigella sativa seeds. ), 25 gms of 'Sadajira' (Cuminum cyminum fruits), 25 gm of Mushur dal (Lens culinaris seeds), which are given twice a day for better Lactation after delivery (Rajbanshi tribe). These pills are crushed and mixed with 250 gm of 'Gur' (molasses). The mixture then made into pills in size of betel nut. Two such pills and fresh juice of the root (two teaspoonfuls) is slightly warmed and is given twice daily in Leucorrhoea (Rabha tribe).